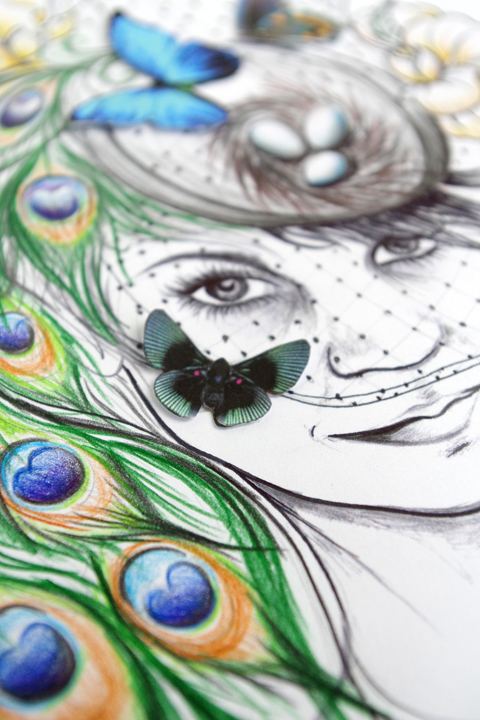 Stylist Mindy Bond loves tattoos, Victorian-age illustrations, and steampunk style. 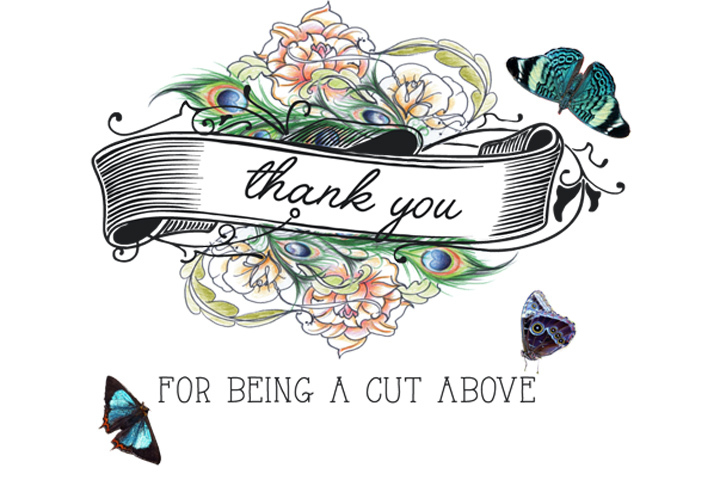 When creating her business cards, she worked collaboratively with us so we could create an illustration that was full of meaning, beauty, and intrigue. 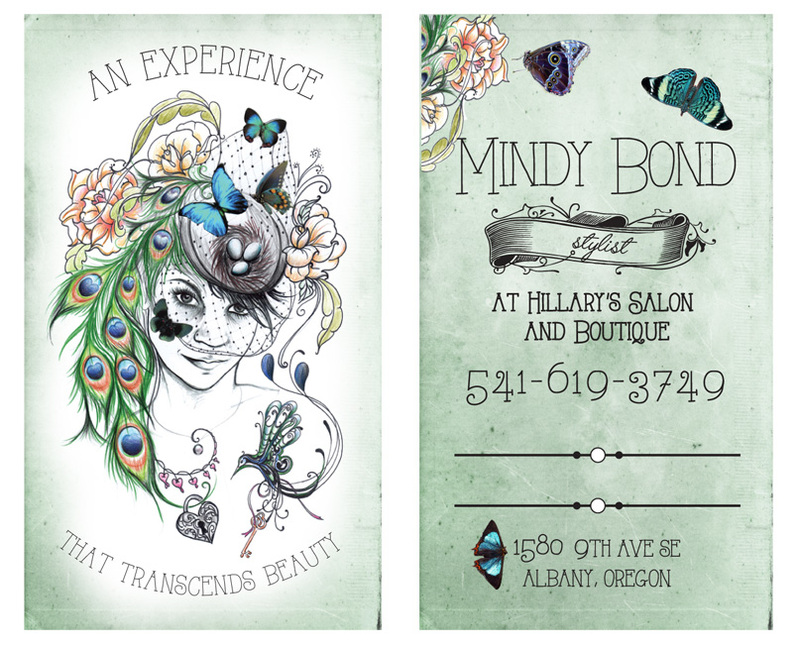 Business/ appointment cards were made by working very closely with Mindy to achieve her ideal illustration. 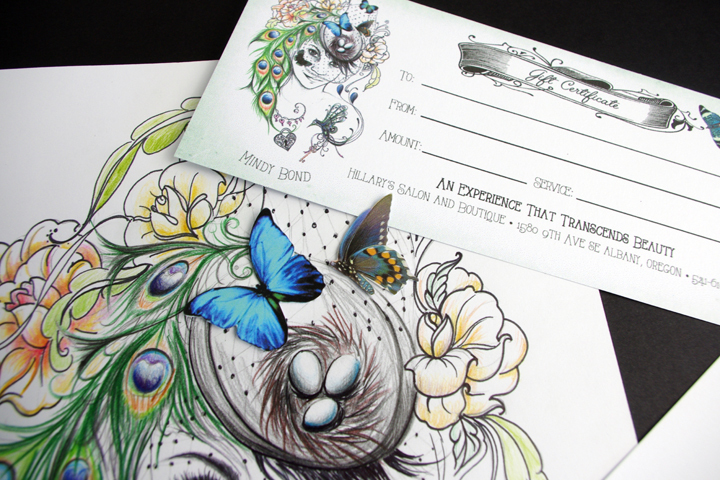 Then, while again referencing her visual style, we crafted the card around the initial illustration. The result: a fabulously ornate business card!